SacRT wants to make sure all K-12 students in the Sacramento region receive an education about the value of public transit. 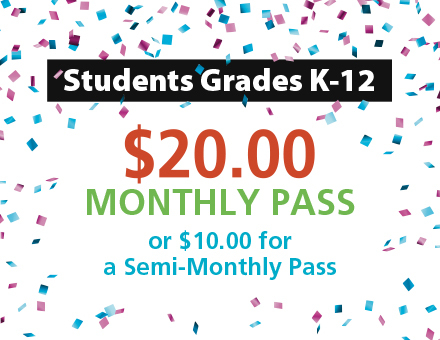 That’s why SacRT is lowering our K-12 Student Monthly Pass from $55 to just $20. The 65% price reduction takes effect on Monday, January 1, 2018, and is a limited time offer that will be available to students through Saturday, June 30, 2018. The monthly pass will provide students with unlimited travel on both bus and light rail. It’s SacRT’s way of encouraging students to ride transit to school, movies, shopping, restaurants and sporting events all month long. Monthly pass stickers can be placed on valid school issued photo IDs. Or, students can go digital with their student passes! The monthly student pass is available on Connect Card, and is now available for purchase on SacRT’s new mobile fare app, ZipPass! SacRT is now accepting school issued photo ID’s or SacRT issued photo ID as a valid form of identification for students grades K-12. Students can affix a student semi-monthly sticker to their school issued photo ID. For More Info Call SacRT’s Customer Service Center at 916-321-BUSS (2877). Parents have the option to use a Connect Card instead of monthly stickers for their student. Free Connect Cards can be purchased at participating Raley’s/Bel Air markets or at the SacRT Customer Service and Sales Center located at 1225 R Street (adjacent to the 13th Street light rail station). The Connect Card is a smart card that allows riders to travel without the need for cash. Parents can register their student’s Connect Card and pay online. There’s also an autoload feature for convenience.